All kinds of beans, are liable to cause migraines. This is attributed to a substance called “Tannin”, which is distributed in a wide variety of plants, in order to protect them from predators; to act as pesticides; and to regulate the growth of plants. According to The Harvard Health Letter, Tannins cause the release of serotonin, a neurotransmitter. High levels of serotonin can cause headaches. 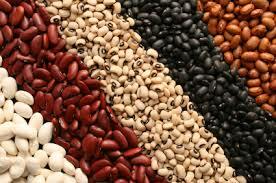 Red Beans (Kidney Beans) have the highest amount of Tannin, whereas White Beans (Chickpea) have the lowest. However, it is not to be forgotten that all beans do possess Tannin in differing amounts. Think again before you grab a steaming hot bowl of beans and rice! Oh the horror! Tasty berries bring you pleasure for sure, but they can also bring you pain. Berries also contain Tannin. So for those of you who are sensitive to migraines may want to steer clear of cranberries, strawberries and blueberries, as they contain condensed Tannin. 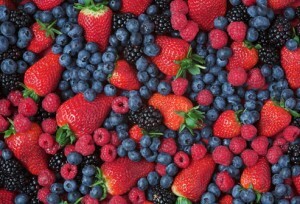 In fact, Tannin is the reason that you get a dry, puckered feeling in your mouth when you sometimes eat unripe berries. But if you do everything in moderation as they say, you will still be able to enjoy some lovely fresh berries, and avoid that nasty ache in the head as well! A staple ingredient in many of our meals, olives may be the reason for your headaches. 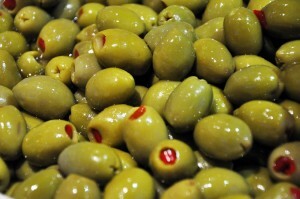 Olives contain an amino acid called Tyramine. Tyramine can cause nerve cells in your brain to release the chemical norepinephrine. Having higher levels of tyramine in your system, can cause changes in the brain that lead to headaches. Since a lot of us use Olive Oil for cooking, it might be worth a try to cut that out of your diet, so you can avoid headaches entirely. 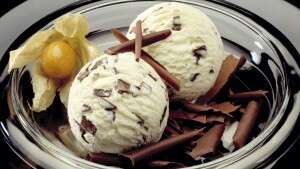 Ever heard or experienced “Brain Freeze”, the stabbing sensation of pain you feel when you eat ice cream too fast? Well,that isn’t always a momentary sensation. In fact, it can form into a full blown migraine for some people; a long-lasting and painful one at that, because it’s a nightmare for your sinuses. So for all the hearts that scream for ice cream, eat your treat slowly, and not too cold! Chocolate on the other hand, contains both Caffeine and Tyramine. Tyramine, as mentioned above is a known cause for headaches, and caffeine, due to it’s stimulating effects can also lead to the same. According to The National Headache Foundation, all nuts, including peanuts, pumpkin seeds, sesame seeds, walnuts and pecans can trigger headaches. Nuts contain large amounts of Tyramine. For people sensitive to Tyramine, peanut butter and other products containing nut oils are also dangerous. Nuts contain chemicals called vaso-active amines, which enlarge blood vessels resulting in them pressing on nerves. This can cause dull headaches and migraines. 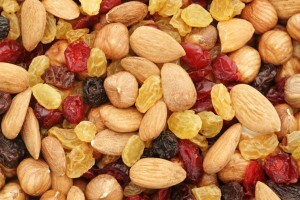 Dried Fruits like dried figs, raisins and plums, contain sulphites, which make you vulnerable to headaches as well. 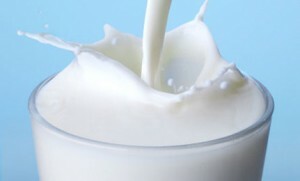 Dairy products may help build bones, but they certainly don’t help a raging headache! Dairy Products like whole cream, whole milk etc, contain compounds called Choline and Casein that can trigger migraines. In fact Casein Intolerance is a legitimate type of food intolerance, the symptoms of which are migraines, dizziness and low grade fever. Casein, while most frequently found in milk and other dairy products, is also present in a variety of powdered products like pancake mix, and even certain types of cereal. So be sure to check the back of the box to avoid that nasty Casein. MSG or Mono-Sodium Glutamate, is a food additive used in Chinese food, and Soy Sauce. Chefs use MSG to enhance the flavour of food. 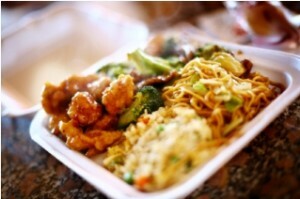 A lot of us love our Chinese food, but the MSG in it is quite harmful for many reasons. Besides causing mild to severe headaches, MSG can cause, heart palpitations, tingling sensations, weakness, tension in the chest, and and even mood changes! The reaction to MSG is also called “Chinese Restaurant Syndrome”. On food labels, MSG is also listed as autolyzed yeast extract, hydrolyzed vegetable protein or HVP, potassium glutamate, sodium caseinate, broth, natural flavorings, or simply flavorings. 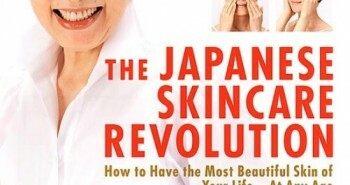 Besides, the high sodium content in Soy Sauce, and spicy Chinese food cause dehydration, which causes headaches. 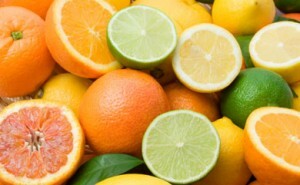 Citrus Fruits include oranges, grapefruit, and lemon. The trouble with Citrus Fruits, is that they contain the double danger of Tyramines and Histamines. Histamines trigger something called “Cluster Headaches”. Cluster headaches are characterized by an intense one-sided pain centered by the eye or temple. The pain lasts for one to two hours on average and may recur several times in a day. Though not prolonged, cluster headaches are characterised by excruciating pain. A variety of foods like pickles, wine and fermented foods, aged cheese contain Tyramine. The digestive system breaks down tyramine, stopping excessive amounts of it from building up in the circulation. 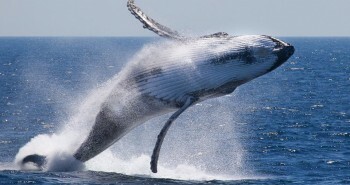 But higher-than-normal tyramine levels may cause the wrong signals to be sent within the body. So it may be best to stay away from the citrus! Products containing Tyramine trigger headaches which affect up to 78 percent of the general population, according to the University of Maryland Medical Center. Numerous meats, including fermented and poorly stored meats, are particularly high in tyramine. Tyramine rich meats can worsen an already painful headache, or ensure that a headache develops if you are on the verge of one. Fermented sausage varieties, including pepperoni, salami, summer sausage and mortadella, are rich in Tyramine. In addition to sausages, processed meats include hot dogs, deli meats and bacon. Bacon and other cured meats, such as ham, contain substances called nitrates, which may also contribute to headaches when consumed in excess. Meat dishes containing cheese, which is another common headache trigger, should also be avoided. 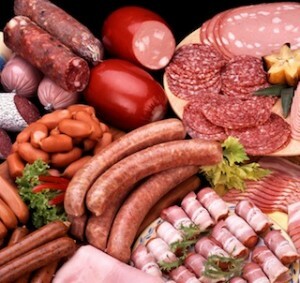 Medical professionals recommend only 4 ounces of processed meats per meal for people susceptible to headaches. Think twice before you dig into those restaurant meats! 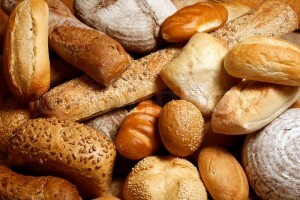 Yeast breads include delicacies like bagels, baguettes, cinnamon rolls, sweet rolls, buns, pizza dough and breadsticks. Yeast contains a naturally occurring, organic chemical compound called Coumarin. It is this compound that triggers headaches. Cutting out yeast breads from your diet, could be crucial for ridding yourself of those headaches.